NOTE: Prices may Varies According to Type of Wood, Weight Load Capacity, Design, and Sizes. 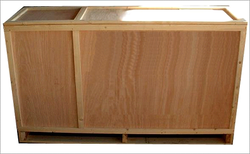 We are the leading manufacturer and supplier a wide range of Wooden Boxes from Gujarat. While the best quality wood ensures reliability. Another star in our product range is Plywood Box. They are light weight boxes used for transporting delicate and fragile goods. They are best suited for transportation through airways. They are generally made of jungle wood, silver wood and local rubber wood to make them cost effective and practical. 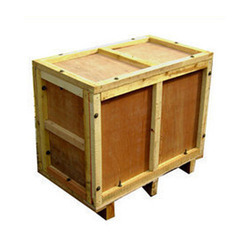 The range of Plywood Storage Boxes we offer is made from the strongest quality ply. These are sourced from the trusted vendors in the market at the most reasonable rates. We test all the boxes for quality and durability before supplying to our clients. Our products are offered at the most competitive rates in the market.